This listing is for one handmade personalize brown with burgundy colored coin purse. How cute is this? 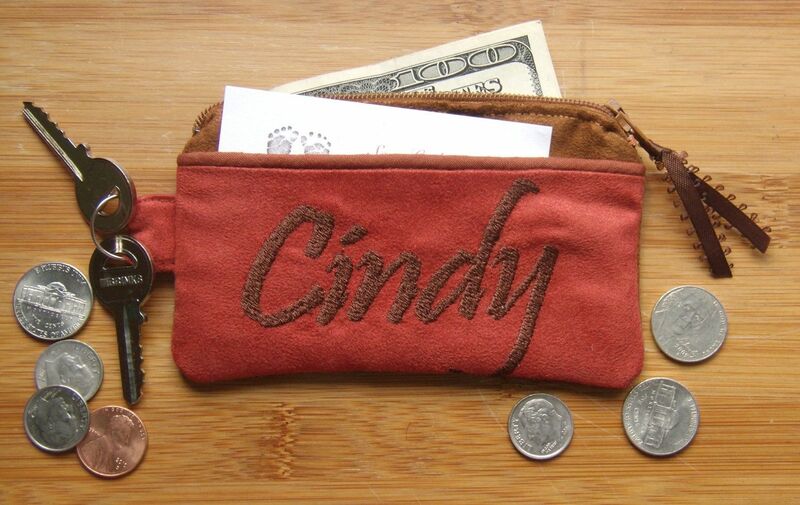 These little coin purses will surely come in handy for those days when you just need to run a quick errand. Toss it in your bag and you are ready to go. Zippered closure for added extra security along with an outside pocket and attach key ring. They are fully lined using contrast fabric color. Measures 3"x5" fits perfect in the palm of the hands. The right size for coins, dollar bills, lip gloss, credit cards etc... Try tossing in a slim line phone as well. Don't forget to include name to embroider in note to seller.